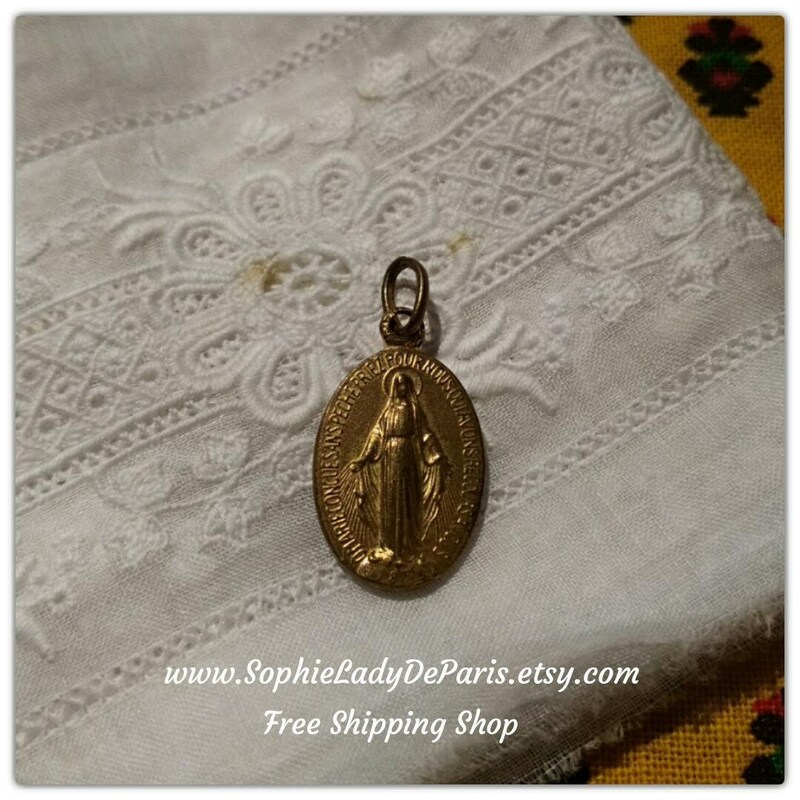 Gold plated Antique 1930s French Our Lady of Miraculous Medal. 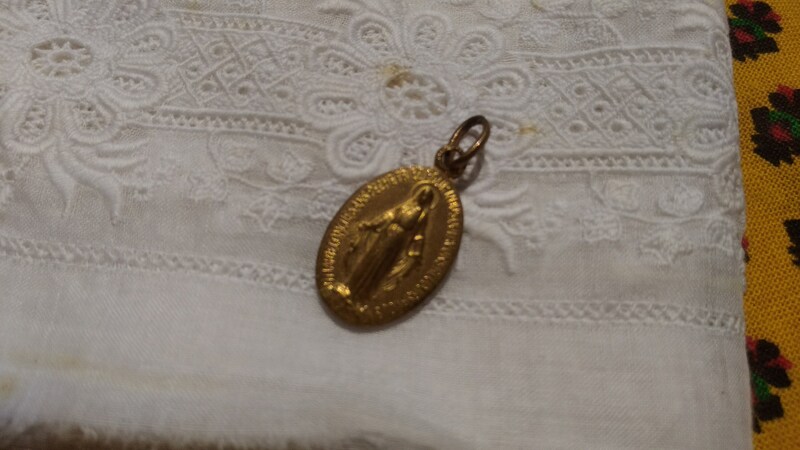 Holy medal Celebrating Catherine Labouré 1830 Apparition . 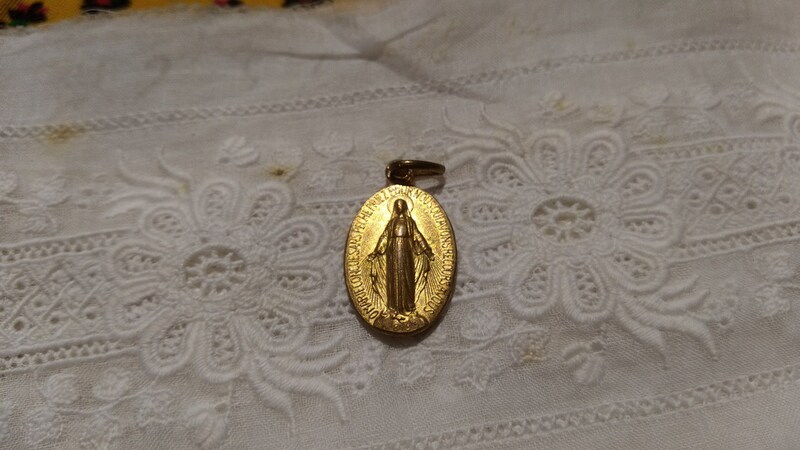 Holly medal from Paris Church Rue du Bac. France tagged on ring. "O Marie conçue sans péché priez pour nous qui avons recours à vous". 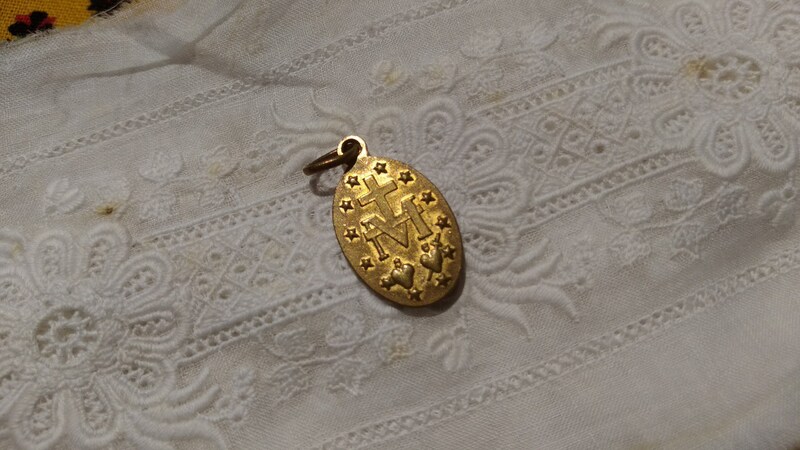 We, Catholics, believe that if we are wearing this medal will receive Holy Graces from Our Lady. 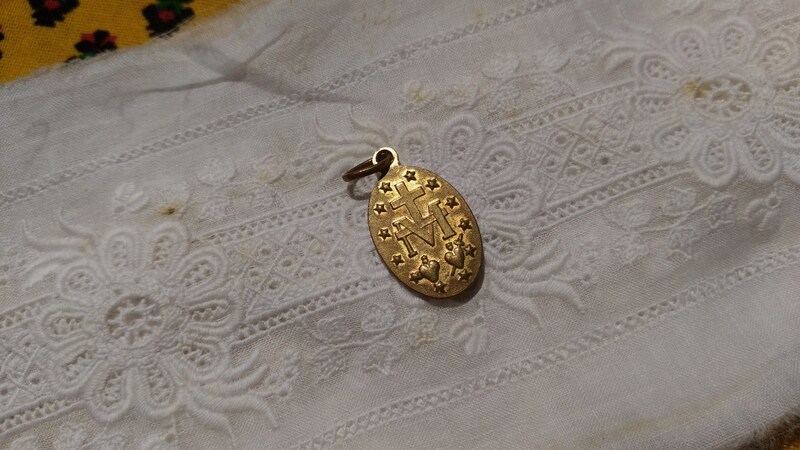 Gold plate is a bit tarnished. Plated on brass a bit verdigris. Size : 0.5 x 0.6 in. 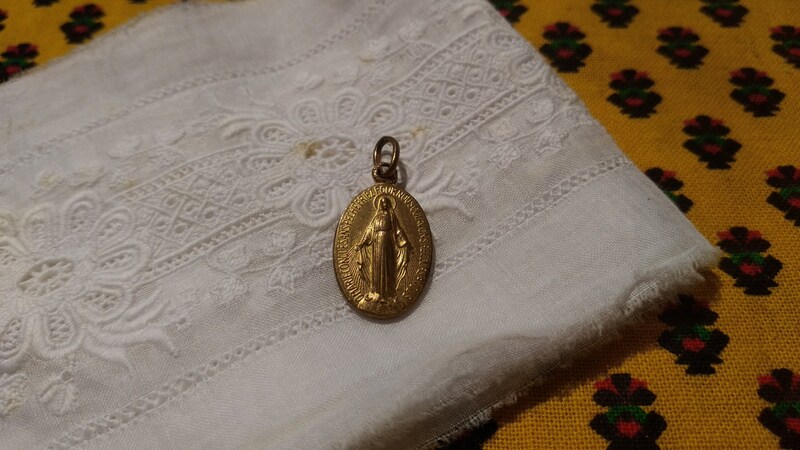 Beautiful and original Holy Virgin Mary Protecting medal.